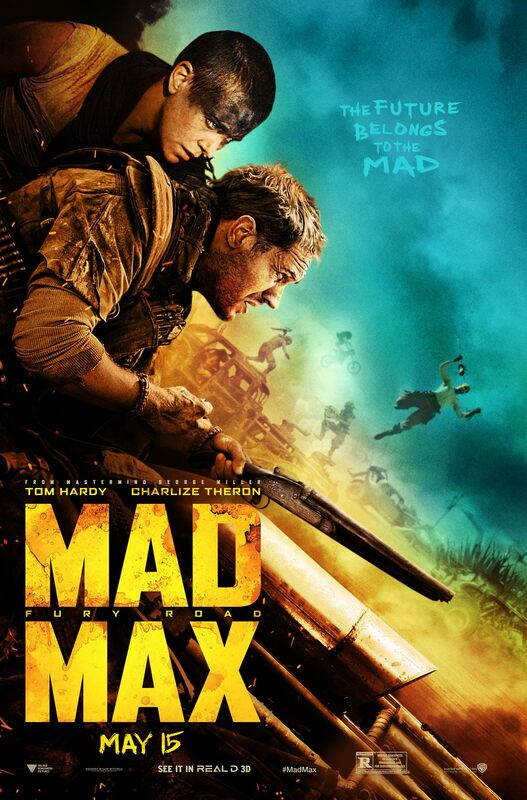 Review – Mad Max: Fury Road | The Cherry POP! It has been 30 years since Miller directed a Mad Max movie but I am pleased to say he returns with a bang, in-fact several bangs. There’s more explosions than a Michael Bay film but unlike the Transformer’s director, Miller uses them with a fluorescent style that leaps from the screen and fully serves the overall experience. 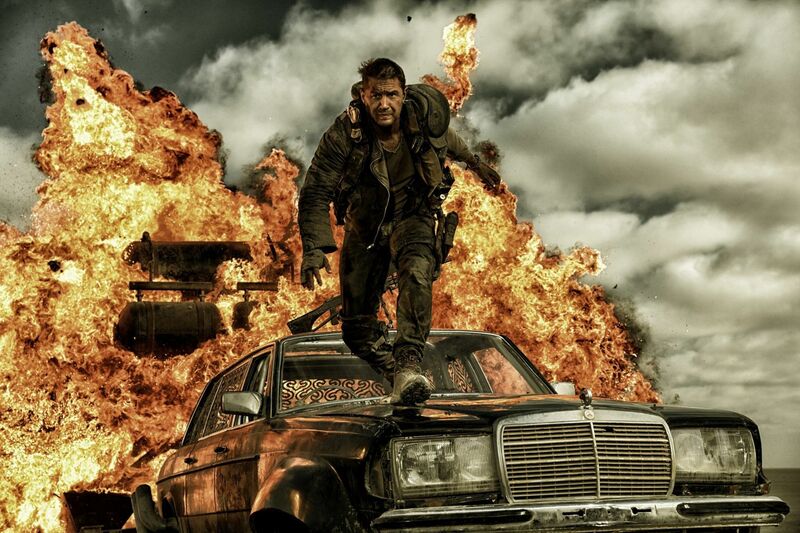 In a dystopian future set in a post-nuclear war environment, heat and sand have consumed the planet and one lone rebel, a man of action but very few words, Max Rockatansky (Tom Hardy) is simply trying to survive, despite being captured by the War Boys, vicious and feral men covered in pale make-up. From the word GO its clear to see the careful thought and maticulous work Miller has put into his vision in order for the audience to fully believe in this grim world. You don’t need to have every scene dark and moody to believe the world’s gone to hell and that is what’s entirely refreshing about Fury Road. While Hardy has very little to say and with many scenes featuring Max wearing a Bane-style mask, he fully uses facial expressions to his advantage and acts as our surprisingly sane-by-comparison focal point who we can feel for and follow on this incredible roller coaster. He’s a man on a mission with a haunted past, something we have seen countless times but it’s Tom Hardy who is careful about not force-feeding it to us, instead he conveys so much in very small ways. Meanwhile, the powerful ruler Immortan Joe (Hugh Keays-Byrne) discovers that his five perfect wives have been taken from him by Furiosa (Charlize Theron), an intense, one armed woman, who has taken his most precious commodities, to not only save them from his clutches, but as a revenge plot for herself. Theron is at the top of her game here in by far the most complex character she has ever played. 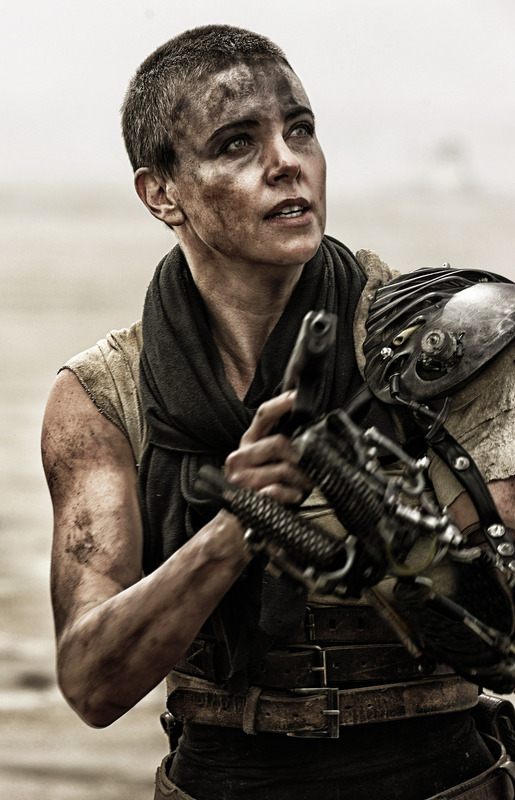 Furiosa is the co-star along Max, she is a woman of anger but there are moments where fragility and hope shine through, which can be entirely accredited to Theron. The wives are led by the heavily pregnant Splendid (Rosie Huntington-Whiteley), Immortan Joe’s favourite whose brave nature is reflected beautifully by the actress which makes you completely forget about her Transformers role, thankfully. Forever by her side is Capable (Riley Keough), whose sub-plot brings further emotion to the overall tale but struggles to make a lasting impact through the high-octane action. Cheedo (Courtney Eaton) and Toast (Zoe Kravitz) also have their moments to shine individually but its The Dag (Abbey Lee) who has more screen time as the peculiar yet intuitive wife, who again, serves the story as an emotional thread and even sometimes in humorous ways. 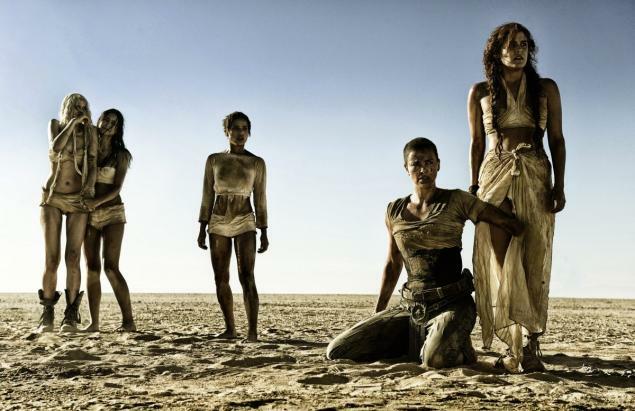 It’s Furiosa’s mission that leads her to join forces with Max on an adrenaline filled race through the desert, fending off an army of crazy men in cars, crazy men on bikes and even crazier landscapes that will satisfy you during every second of its two hour runtime. If the action doesn’t get you, then the soundtrack will, with an impressive score by composer and DJ Junxie XL and a funny running gag of a guitar playing warrior on a truck during the big battles, you surely won’t be disappointed. A combination of beautiful cinematography (that looks as though the whole thing is shot in an X-Pro filter), fine acting and impeccable direction from George Miller proves that even though the project had been in development hell; pushed back and delayed for years, that just like a fine wine, age can be a great thing as we are given the action flick to end all action flicks. The reliance of practical effects gives a substantial added bonus and these are well intertwined between its political and emotional themes. This entry was posted in Film and tagged Abbey Lee, Action, Charlize Theron, Courtney Eaton, film, Fury Road, George Miller, Mad Max, nicholas hoult, review, Riley Keough, Rosie Huntington Whiteley, Tom Hardy, Zoe Kravitz. Bookmark the permalink.